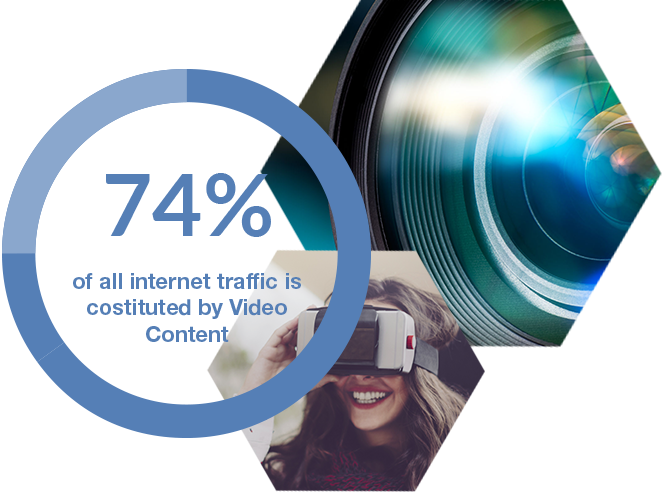 Today, Video Content constitutes almost 74% of all internet traffic. In other words, it is impossible to think Digital and Shared without thinking Content. As lines are blurring between the stake holders in content production, distribution, and indeed consumption, we strive to leave a mark. Key industry players are diversifying their business portfolios as they seek to get ahead of shifting control points. Already, there are signs that in the emerging content landscape, some players may be able to structure profitable businesses without relying on their traditional partners. As a result, we are seeing the beginning of a battle for key content assets along the value chain – a battle reflecting a “make or buy” dilemma in view of spiralling content-licensing costs. Smaller providers that lack the scale to build integrated navigation layers and the budgets to buy sufficient exclusive content will need to expand their capabilities. That won’t be easy, but smartly crafted partnerships, mergers, and investments can help. It is hence foreseeable that Independent Content Production companies will be allocated a considerable amount of work regarding content production on behalf of such players, have a market to exit and sell their projects, or run them as co-productions or partnerships of some sort.